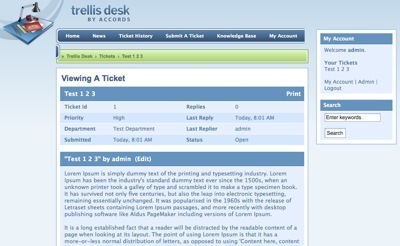 The setup and installation process for Trellis Desk help desk system is easy as 1 2 3. During the installation, you will just need to follow the on screen instruction and the installation will be finish within 5 minutes. 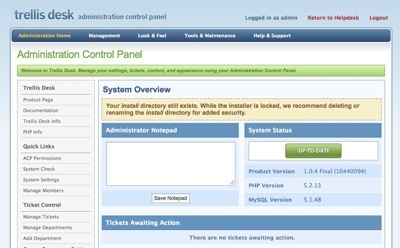 If this help desk software is not suitable for your, you may wan to look at eTicket or Hesk. This entry was posted on Thursday, April 21st, 2011 at 4:36 pm	and is filed under Free Helpdesk System. You can follow any responses to this entry through the RSS 2.0 feed. You can leave a response, or trackback from your own site.